Apple is a technology giant that has the power to increase or decrease the stock values. It is a claim that has been proven once again when the company’s investor call led to the fall of stocks. Even though the company has sold a lot of iPhones in the first half of 2015, the shipments didn’t meet up with their expectations. The update released by Apple had a strong effect on other companies that sell similar products. The expected revenue is between $49 billion and $51 billion, which is huge, but it is at least $5 billion less than what forecasters had predicted earlier. 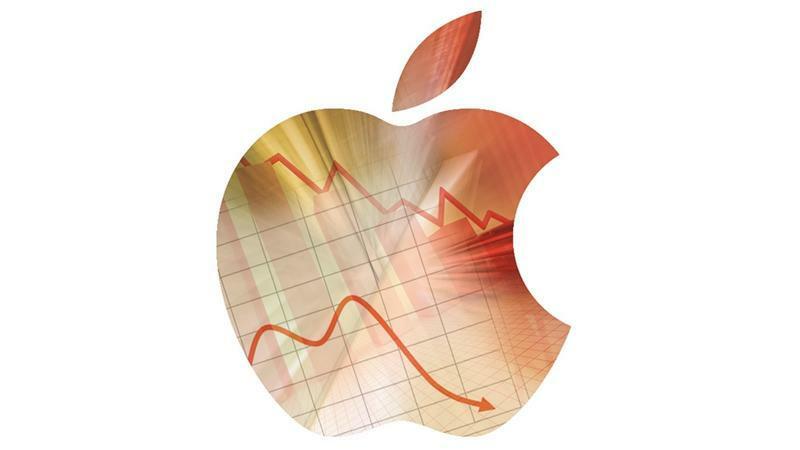 Apple lost 5pc in German trading sector, according to Nasdaq 100 futures report. Microsoft, another big company, posted similar disappointing sales records in the past quarter which led to a decline in their stock value which is now at 4pc. Experts opine that the market will be extremely volatile in the coming months. Some of them have already started suggesting that it is not advisable to go with stocks owned by technology companies because consumer perspective is changing at a rapid pace. Smartphones and tablets are no longer in huge demand as they used to be. In the US trade report, Apple touched a new low with stocks priced at $119.20 which triggered some investors to invest in the company. Majority of the investors refrained from doing so because Apple doesn’t have any interesting products coming up except for the iPhone 6S. Stocks don’t soar when updated versions of phones or tablets get launched which has held most people from buying the stocks. Several technology companies including Microsoft and Yahoo have submitted net loss reports. Microsoft claimed that the Nokia acquisition has cost them a lot, which led a loss of $2.1 billion, the biggest ever reported in the company’s history. The waning search engine and news company Yahoo isn’t doing well either. Their stocks declined by 1.8pc because the sales were much below the level than analysts’ predicted. The net loss reports led to Microsoft’s German trading value dropping by 3.8 percent, while Yahoo witnessed a 2.2 percent drop. Apart from technology giants, the commodity stocks witnessed a very high loss rate. With unexpected changes in currency and stocks, analysts are trying to come up with new theories that might help them predict the future of stocks, in the next six months.